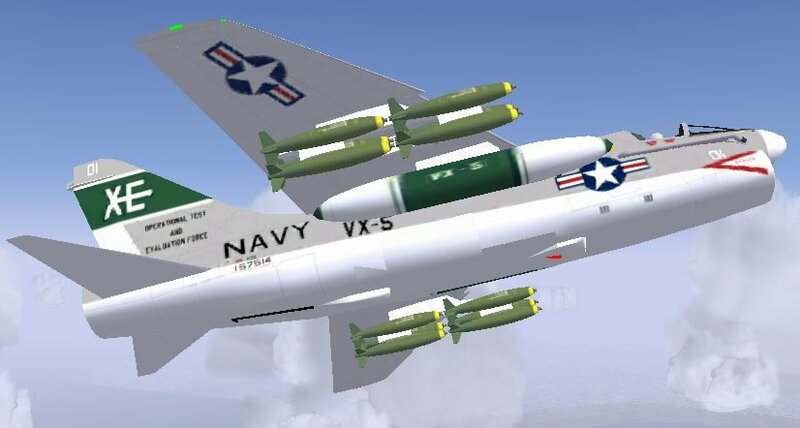 PROJECT INFO: LTV A-7E Corsair II VX-5 The VX-5 "XE" sqdn, later to become the "Vampires". Flew at NAS China Lake before being combined with VX-4 to become VX-9, operating out of NAS Point Mugu. Added in 2 modded drop tanks. Want to place Wallye or Paveway ordinance on each wing's center pylon. ** IMPORTANT ** Needs Dave Culp's "DavePack" to run.